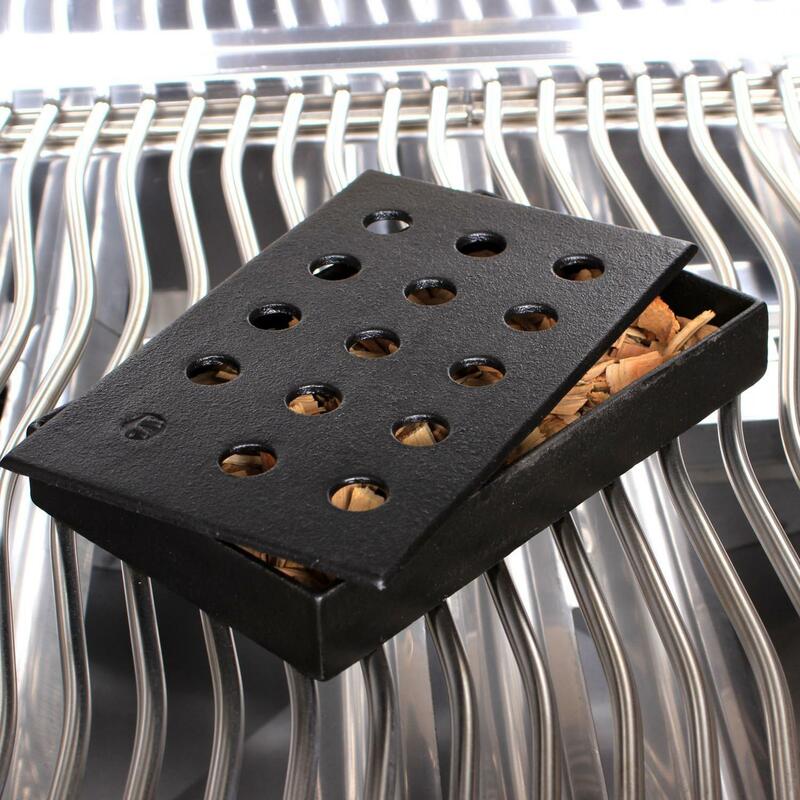 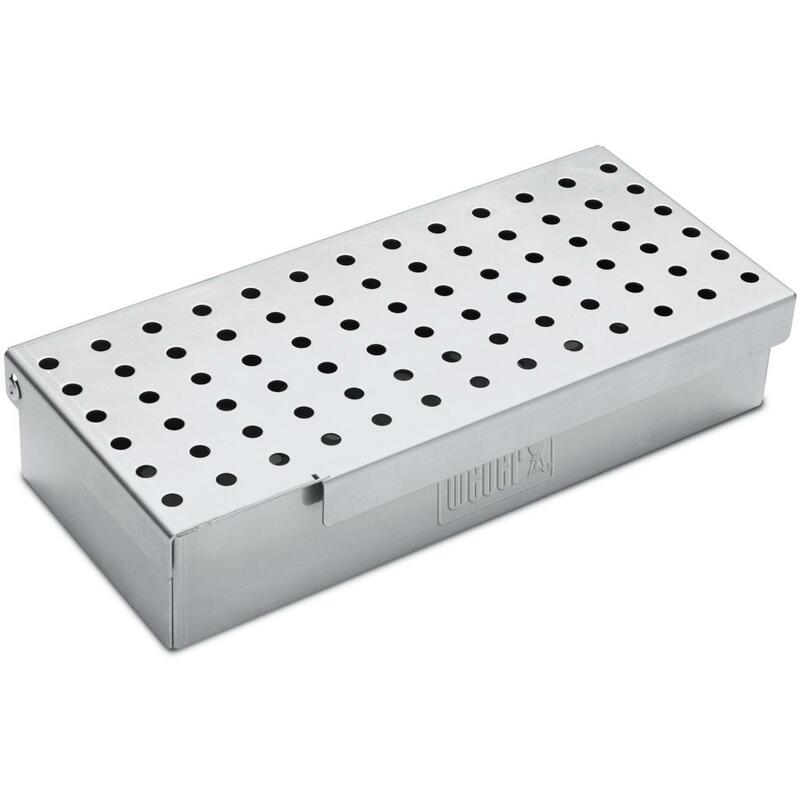 Product Description: 13-Inch Stainless V-Smoker Box With Pellet Tube. 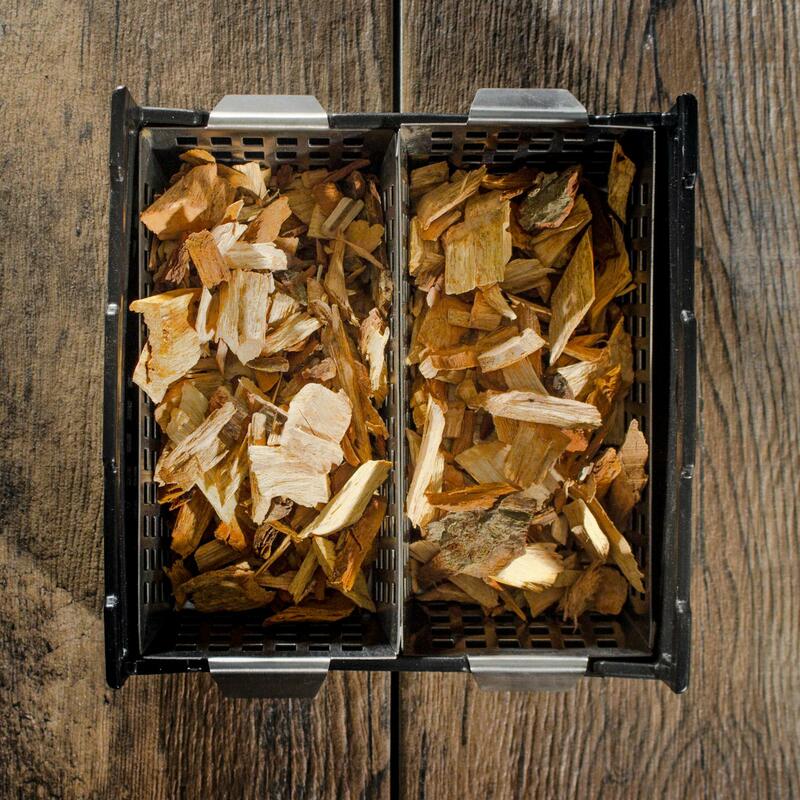 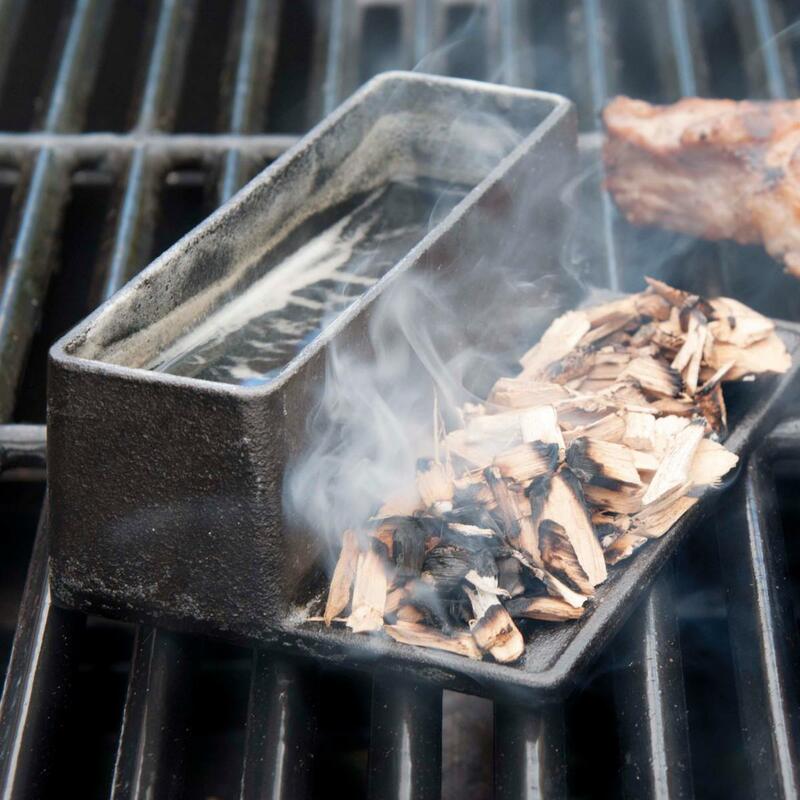 This 13-inch V-Smoker Box compliments your gas or charcoal grill and helps provide that often sought-after smoked flavor. 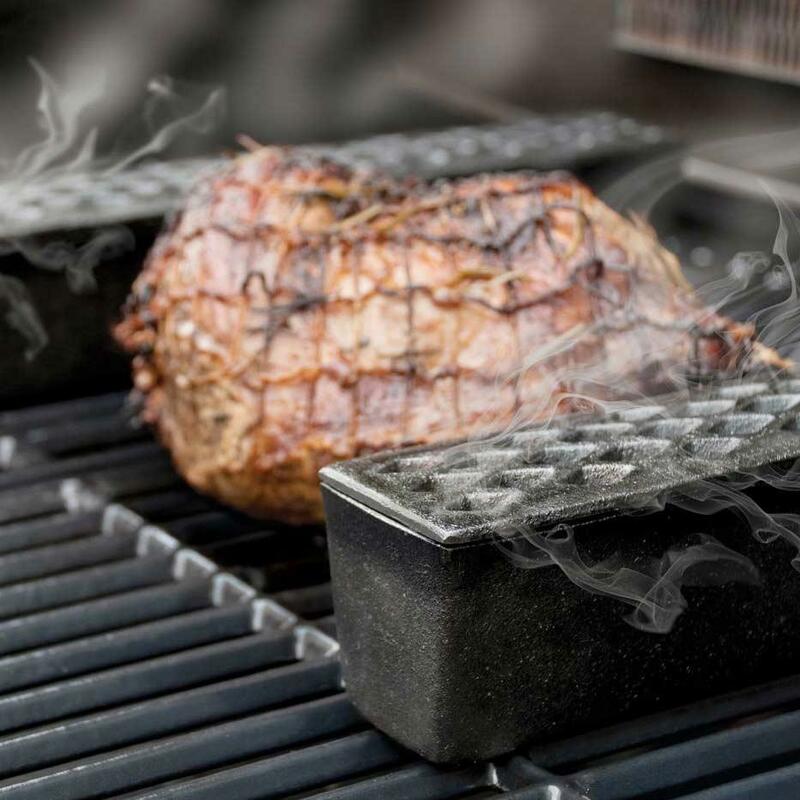 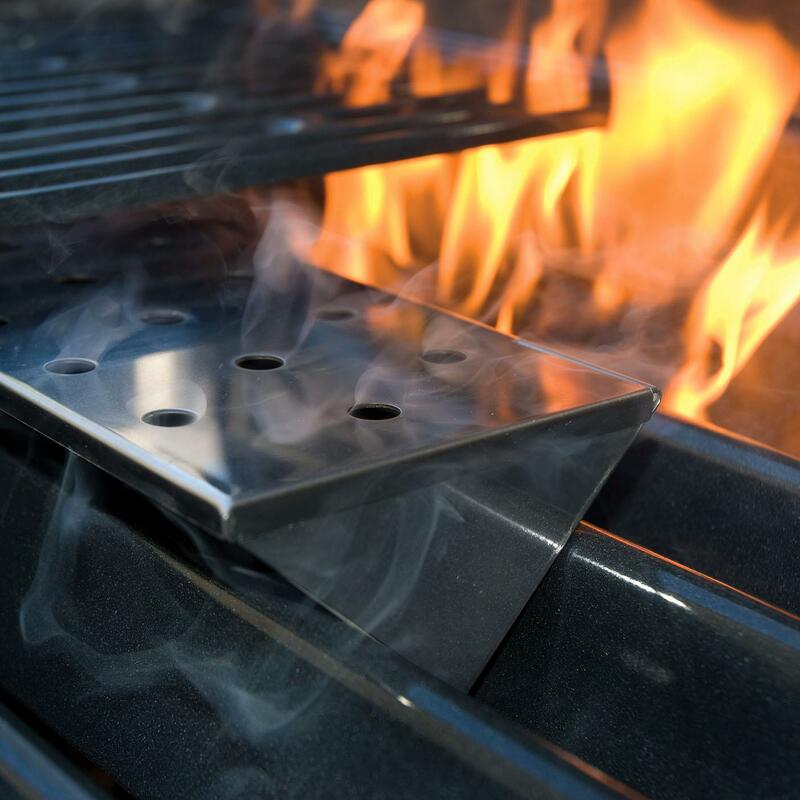 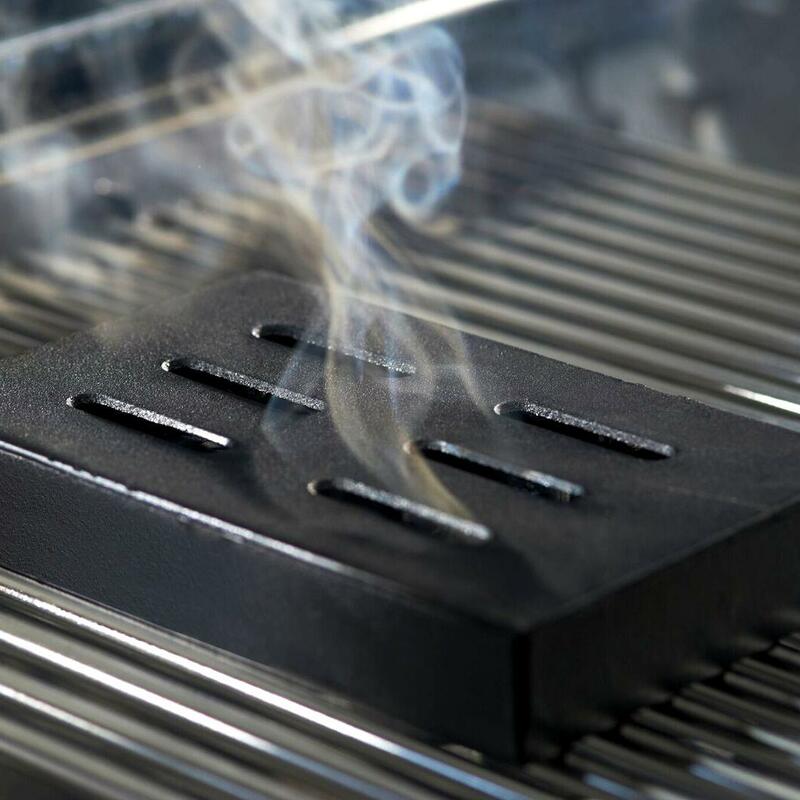 The box can be placed on the flame deflector bars of your gas grills for an enhanced smoke flavor, or on the coals of your charcoal grill for a more full-bodied experience. 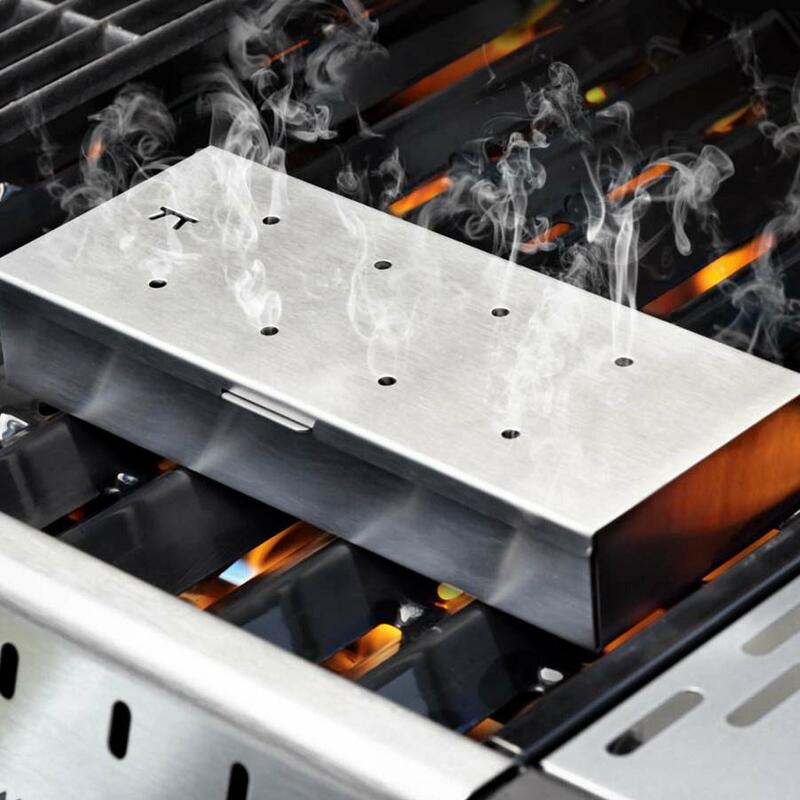 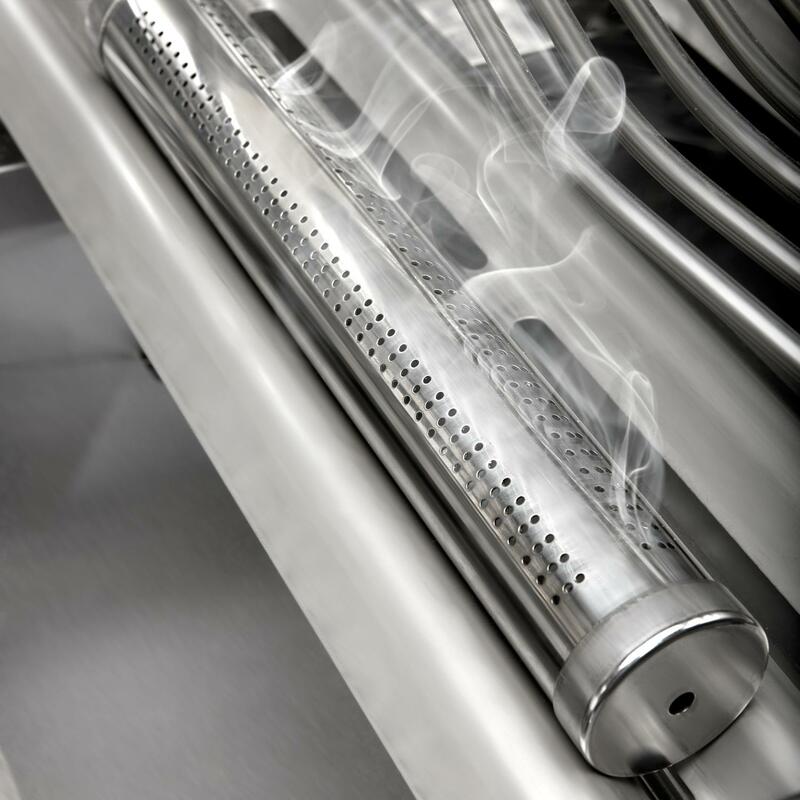 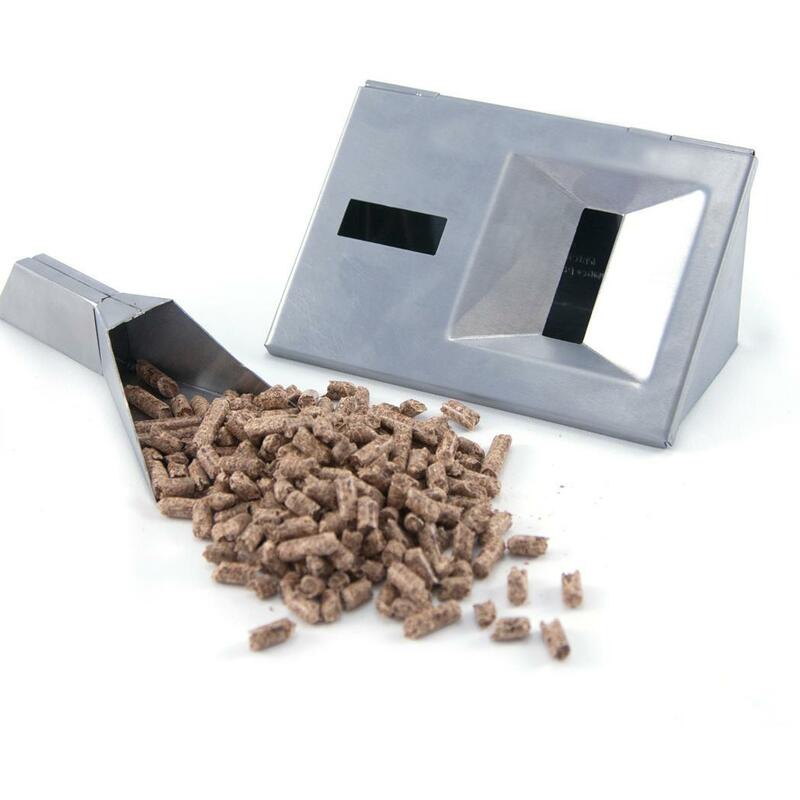 The pellet tube allows you to add more pellets at any stage of the grilling process. 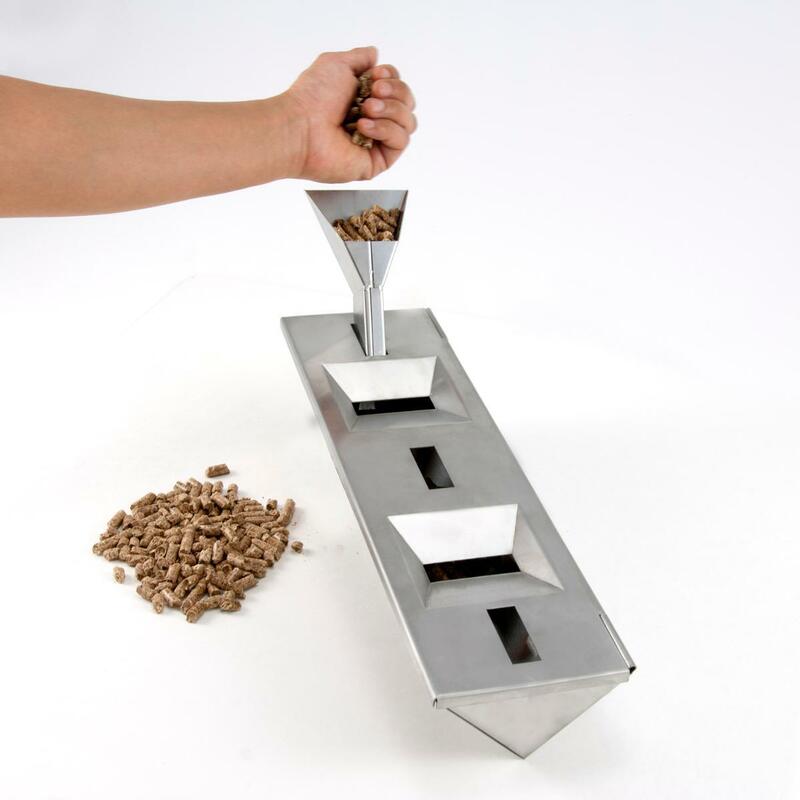 Pellets not included.